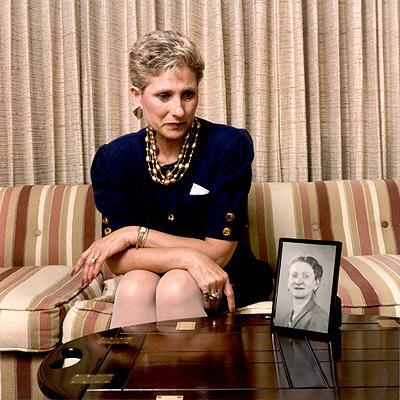 Holocaust Survivors: Photo Gallery - "Jeannine Burk"
Jeannine Burk remembers her mother, Sarah Bluman Rafalowicz, whose portrait is on the table. Ms. Rafalowicz saved her three children by hiding them from the Nazis. She died of cancer at age 45, in 1950, shortly after this picture was taken.